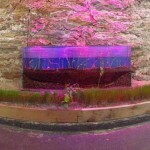 The work of Vikki Michalios is about environmental systems and is inspired by ecological events, contemporary media coverage of them, or legends related to them. 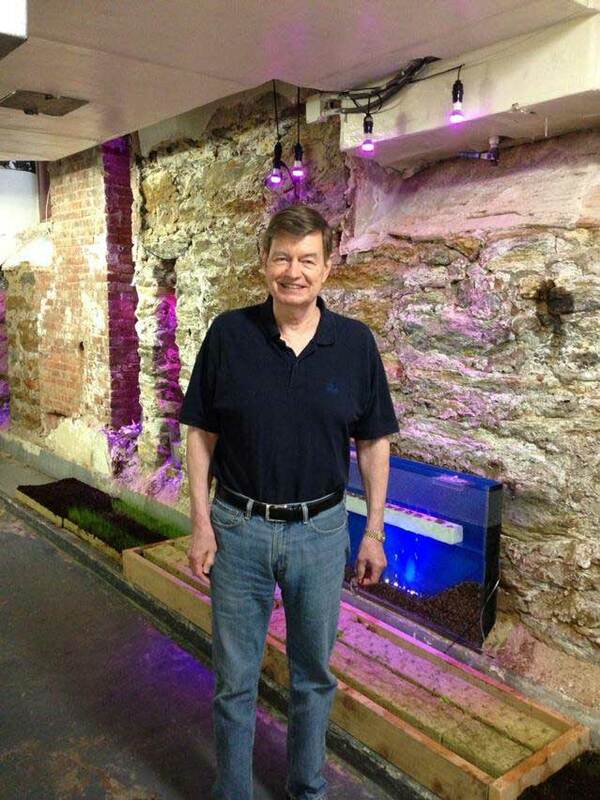 One such inspiration in recent news describes the effects of pesticides and GMO’s as a ticking time-bomb for health and ecology. 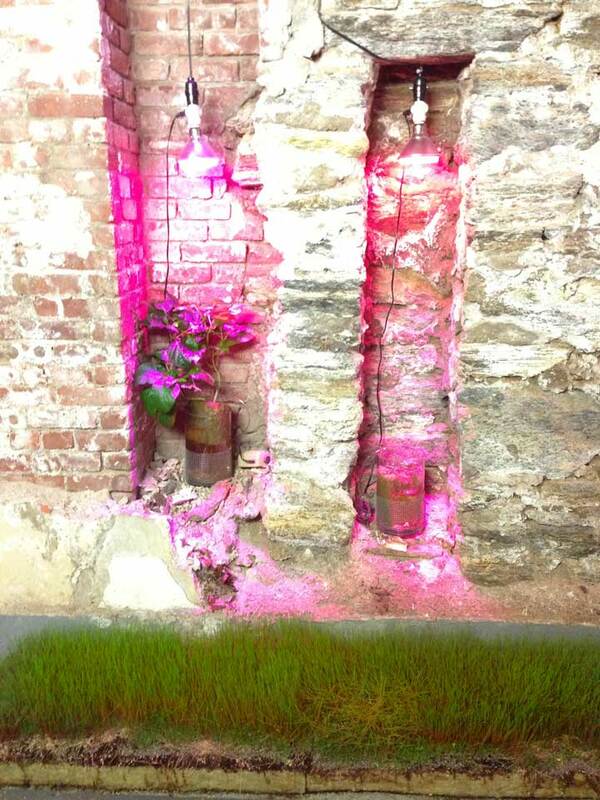 The installation in the “Doing and Undergoing” group exhibition at Teachers College, Columbia University, aims to transform how society sees and uses agricultural practices. 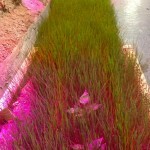 It blends together art, horticulture, and sustainable technologies. 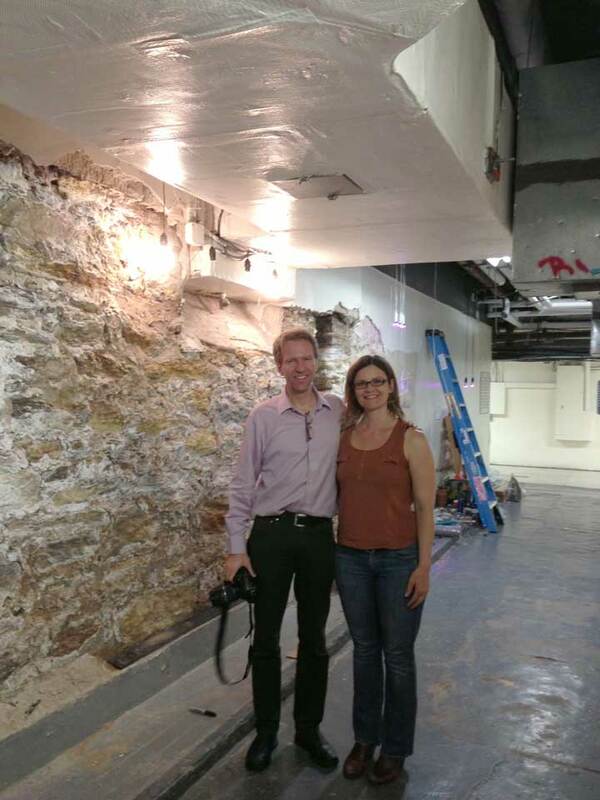 The foundational wall in the basement of the Zankel building, facing utility rooms, was partially demolished years ago but its’ conditions proved too delicate to fully expose. 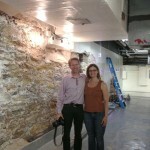 The wall now reveals 125 year old secrets and beauty of the original mason work. 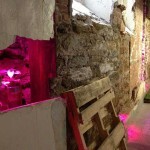 There is broken plaster, hidden alcoves, crumbling brick, and cracked sheetrock. 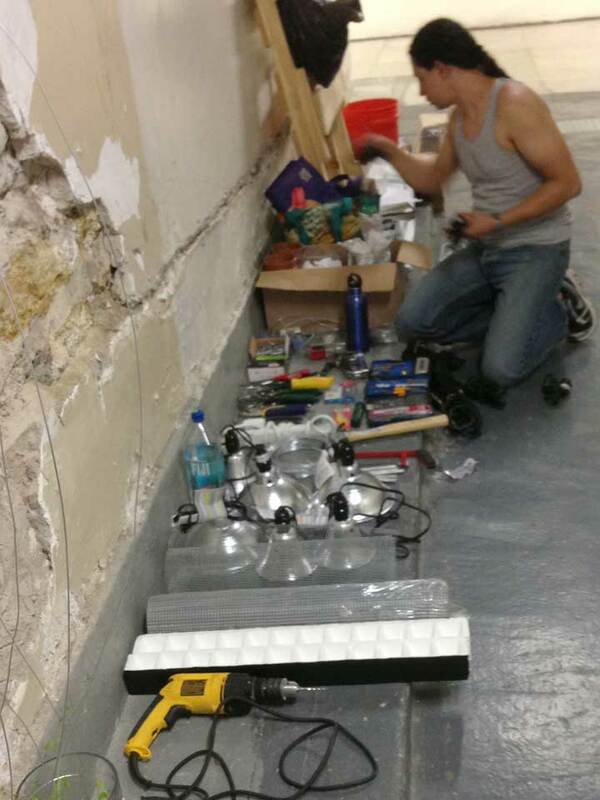 Across the wall and along this 50 foot long passageway, mop buckets are filled and oversized garbage bins sit parked. 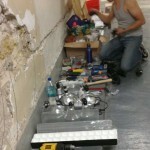 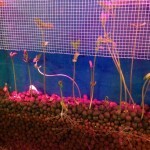 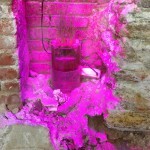 A hydroponic grow system is constructed into the imperfections of the exposed wall. 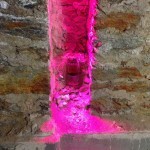 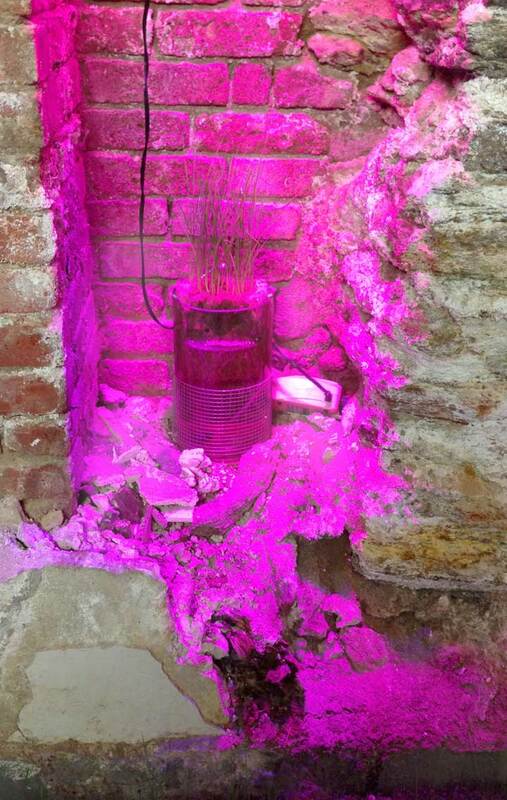 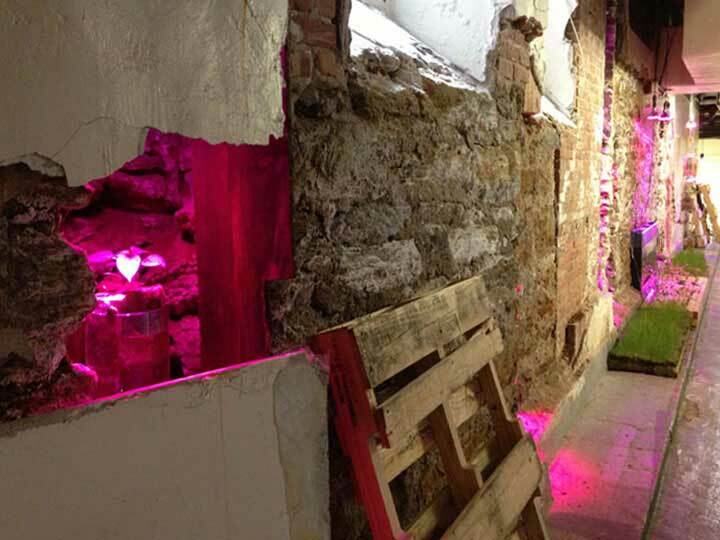 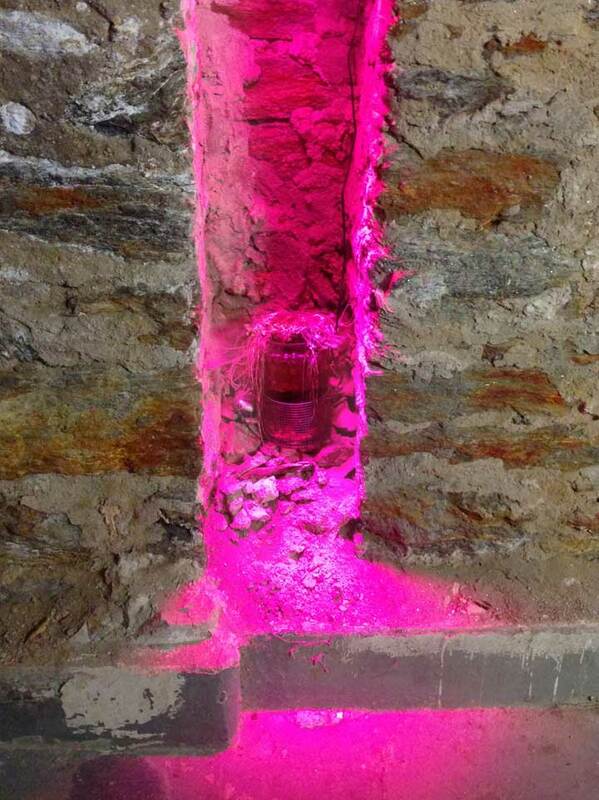 A garden appears to be growing out of an ancient ruin with pink nightclub lighting. 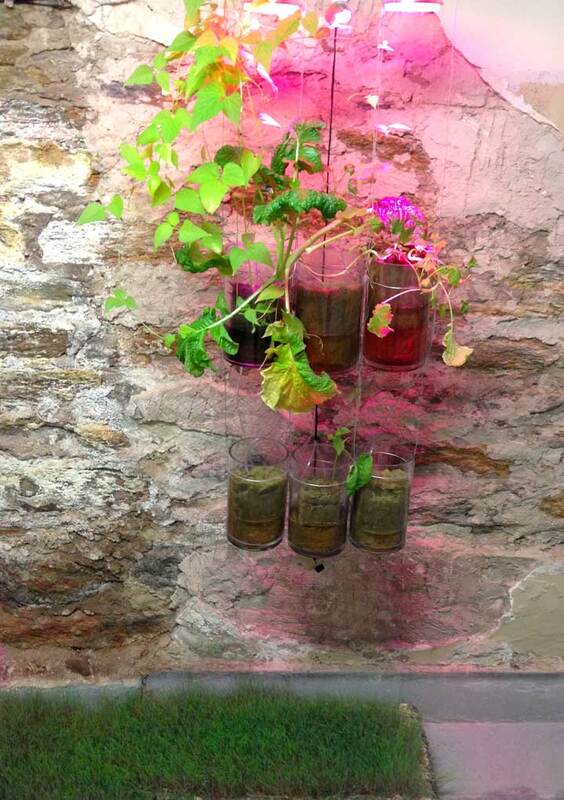 Plants sprout from glass containers attached into alcoves. 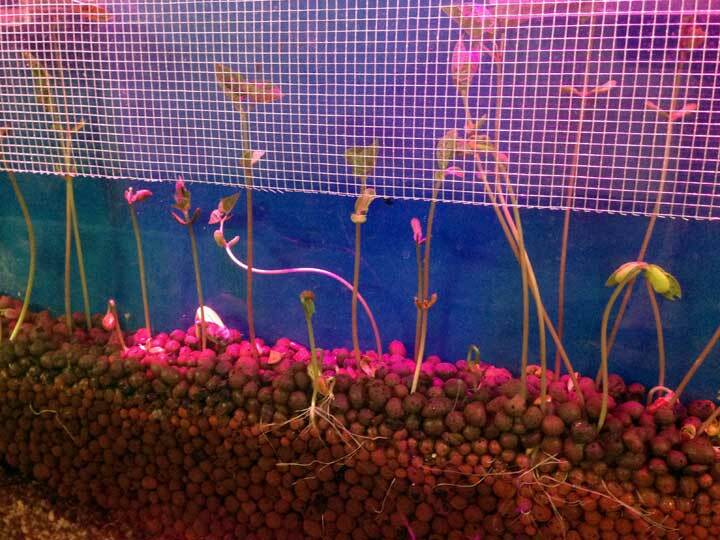 Grow lights shine on sprouting beans, peppers, wheat, and kale. 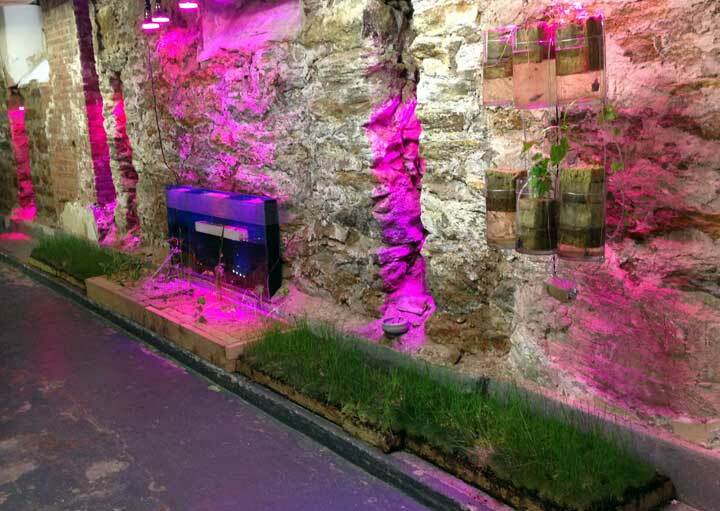 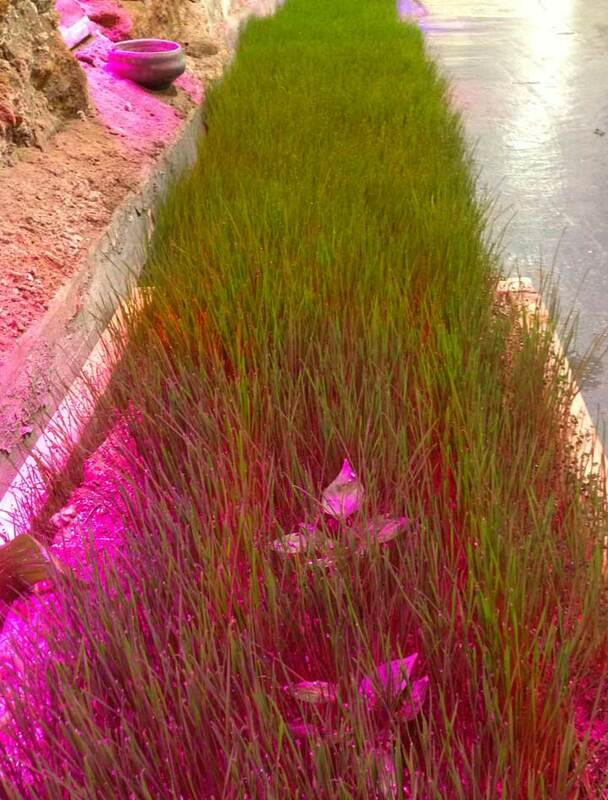 Vegetables adapt and change to the environment as they sprout with no soil or natural light. 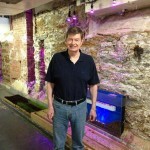 Facilities personnel bring installation wisdom and daily watering. 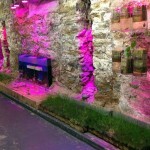 The passageway is transformed into a place where people stop and ask questions instead of pass by. 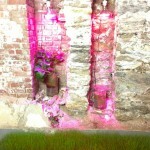 The installation hints that pesticides and genetic modifications are an option. 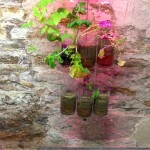 Sustainable miniature gardens suggest that food can be grown nearly carbon free in unexpected places, on walls, in closets, and in basements.